The Del Ray Patch caught some of the action at this weekend's massive tree planting in Four Mile Run Park (click here for video or watch below; Video by Drew Hansen). Following a couple recent successful stream clean-ups and park renovations, a cadre of volunteers were back at it again this upcoming weekend planting about 2 dozen trees in Four Mile Run Park. Spearheaded by resident Kurt Moser, the project is being funded entirely by a grant from Casey Trees, who provide the plant material and tools. The planting marks the first year that Casey Trees has expanded its program outside of the District of Columbia. Casey Trees is a D.C.-based urban forestry non-profit dedicated to restoring, enhancing and protecting the tree canopy of the nation's capital. The work was performed Sunday morning during the opening day of the Four Mile Run Farmers & Artisans Market. Local businesses supported the effort by providing meals to the workers. MOM's Organic Market provided breakfast. The Casey Trees support of the Tree Stewards efforts is a continuation of a series of private initiatives to revive, restore and expand this public space. The trees were planted as part of the Four Mile Run Park Expansion (4MR Expand), a project that has been a decade in the works. Originally conceived as part of the 2003 Arlandria Plan, 4MR Expand was incorporated into the Four Mile Run Restoration Plan adopted in 2005. Four parcels were acquired in 2007 with Alexandria City Open Space funds but sat idle for a number of years due to lack of money for planning and implementation. A group of architects, known as Architects Anonymous, banded together to create a workable plan for the site that could rolled out over time making the best use of contributions from grants and the community. 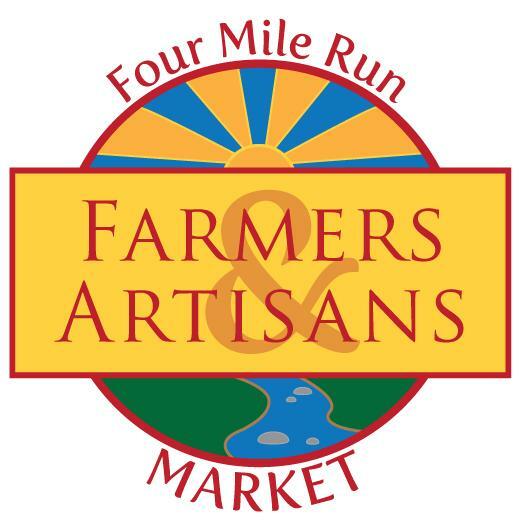 The non-profit Four Mile Run Farmers and Artisans Market adopted the site as the site for a farmers' market and provide maintenance and financial contributions to further the project. Architects Anonymous contributed additional plans to re-purpose the former paint store at 4MR Expand and to prevent its demolition. The Arlandria Plan Implementation Group supported the project by requesting that the City direct some funds that would have otherwise be lost to help complete the community's vision. Since then, 4MRMarket has solicited private contributions to enhance the site and the City's Parks department has coupled those funds with grants that they've solicited to create a venue to showcase the arts and environmental best practice. 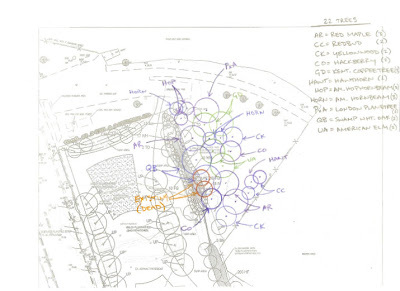 To date these include: a performance stage, permeable pavers and rain gardens to collect stormwater run-off. Planters to collect additional stormwater run-off and arts grants are still pending. The current City Manager proposed budget does not anticipate any tax money being directed to the plan. Four Mile Run Park is for the birds!